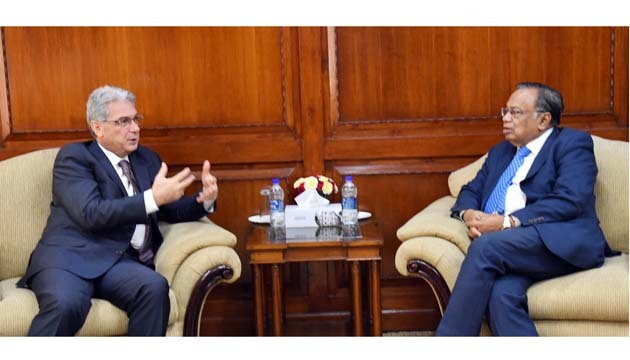 Outgoing Italian Ambassador Mario Palma made farewell courtesy call on Foreign Minister AH Mahmood Ali and State Minister for Foreign Affairs Shahriar Alam at the Ministry this morning. Both Ministers deeply appreciated Ambassador Palm’s compassionate and constructive approach to tackle the situation in the aftermath of 1st July 2016 terrorist attack, at one restaurant in the city, when nine (9) Italian citizens were killed. 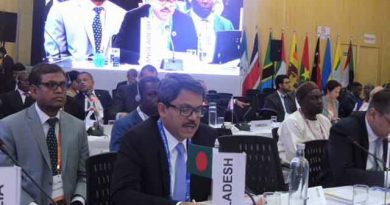 Citing this incident, as a ‘sad moment’ of his tenure, Ambassador Palma expressed sincere appreciation for Prime Minister Sheikh Hasina’s sympathetic but strong leadership role in taking the terrorists into task, including combating of scourge of terrorism in Bangladesh. He also expressed satisfaction at the beginning of trial in the Court to pass justice for the victims. 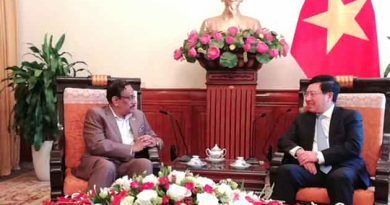 They also discussed about ever growing trade and investment relations. He hoped that both countries would continue to accrue more benefits out of the strong understanding that exists between our two peoples, while referring to the second largest Bangladeshi expatriate community in Italy, in whole Europe, after the UK. 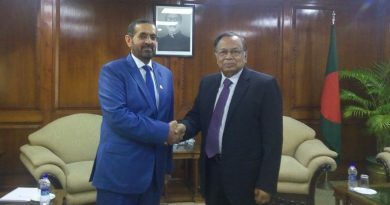 Ambassador Palma presented his Credentials to the President on 14 January 2015 and is expected to leave Dhaka, on completion of his tour of duty, in early January 2019. Ambassador Palma thanked the ministers for their continued support during his stay in Bangladesh.